Welcome to A-Plan, Woking, your nearest branch. 49 Commercial Way, Woking, GU21 6XR mile away. 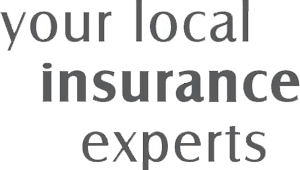 As your local insurance broker, A-Plan Woking has been serving clients in your area since 2012. We have specialist facilities for private car, home & contents and commercial vehicle insurance. A-Plan Insurance in Woking has been open since March 2012. Although we are relatively new to Woking we are part of a company that believes in offering a strong personal service to local people not only looking for a good deal but who have not been properly covered by their insurance in the past. In the time we have been getting to know the area we have built-up a good client base, many of whom enjoy being able to come into the office and discuss their insurance needs face to face rather than deal over the phone with a call centre. The town centre has recently had a multi-million pound facelift and this helps blend our modern branch with an equally fresh high street. Being the only insurance broker directly in the town centre we are unique and offer a much needed local, personal service that has been absent from Woking in past years. Your Woking Branch Manager. Get the right cover at a great price! Put our local team to the test to see how we can help you.